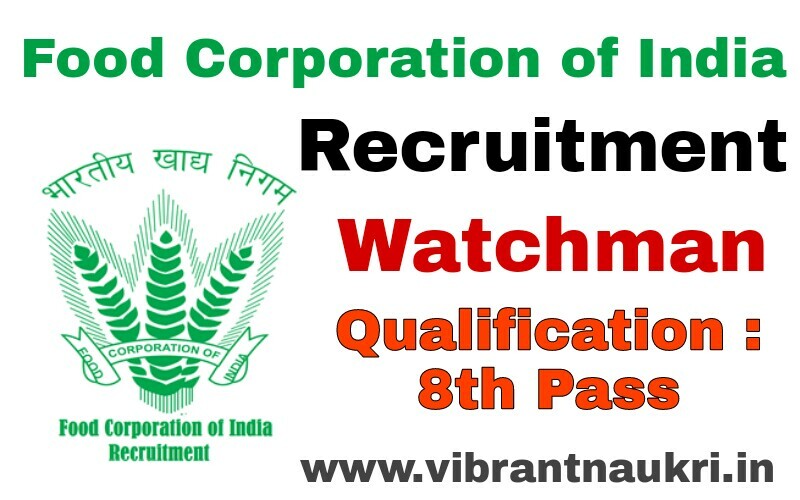 Food Corporation of India Recruitment 2017 | 08th Pass | 408 Watchman Post | Salary 18070/-: Good News For Non-Metric Job Seekers Food Corporation of India (FCI) has published Recruitment notification for the post of 408 Watchman Vacancies. More information please read below mention officially notifications carefully. No of Vacancies : 408 Vacancies. Educational Qualification :-completed 8th Pass or it’s equivalent qualification from a recognized Board/University. Application Fee :- General/OBC Candidates Application Fee is – 300/- & For All Other Candidates (SC/ST/PWD(PH)/Ex-Servicemen) Application Fee is – Nil. Pay Scale :- Candidates can get salary Rs. 8100 – 18070/- . Per Month.